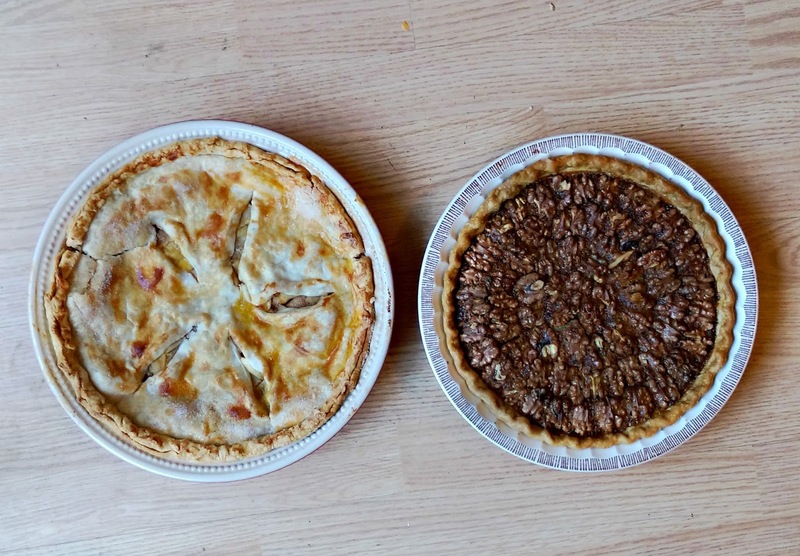 A couple of months ago I made something that I had never created before –walnut pie. Remember me telling you about all of those hazelnuts we have received from my husband’s coworker? Well, we were also given a few large bags of walnuts as well, so naturally I began searching through my cookbooks and Pinterest for recipes that I could make with them. Pecan pie has always been one of my favorite pies (are there really any bad homemade pies though?) 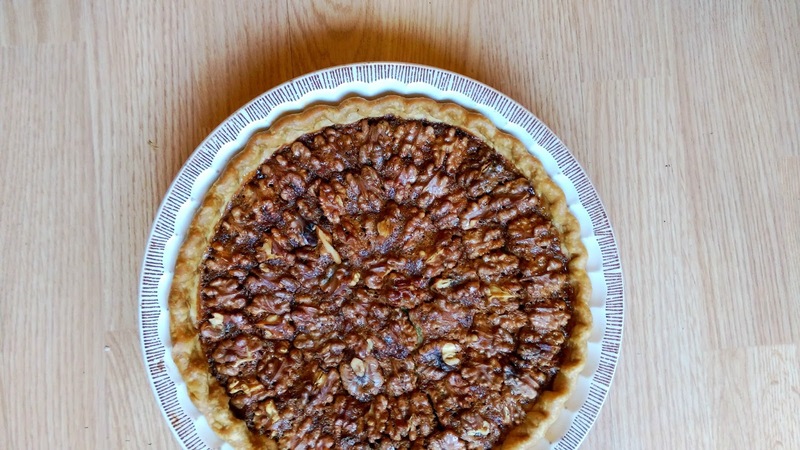 and I had heard of people making a walnut pie like a pecan pie…I think I had even tasted one before, so I went through my recipes and used walnuts instead of pecans. I used pre-made pie dough – if I’m not making the crust myself I will only use the refrigerated kind that you just unroll. It works great and you can shape it nicely in any pie pan. Mix the sugar, butter, eggs, flour, corn syrup and vanilla in a medium bowl. Pour the mixture into a pie crust. Place the walnut pieces on top of the mixture. I arranged them so that they covered the entire surface of the pie without many gaps. Place the pie into the oven and bake for 15-20 minutes. Turn the oven temperature down to 350 degrees and continue baking for approximately 45 minutes. Remove from the oven and let the pie cool before serving. Surprisingly the pie tastes just like a pecan pie does to me – it didn’t have a strong flavor difference. Gosh…all of this talk about pies is making me want to run into the kitchen and bake another one! 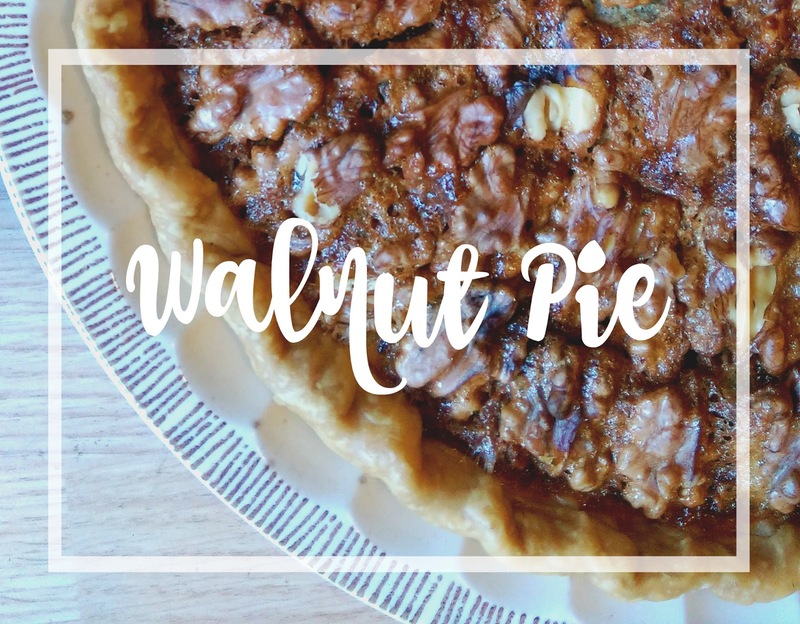 Maybe I will just go and do that… 😉 Have you ever made a walnut pie before? Looks great! Happy Pi Day!